About "Area of triangle with coordinates"
Three or more points in a plane are said to be collinear, if they lie on the same straight line. In other words, three points A(x₁, y₁), B(x₂, y₂) and C(x₃, y₃) are collinear, if any one of these points lies on the straight line joining the other two points. One can prove that the converse is also true. 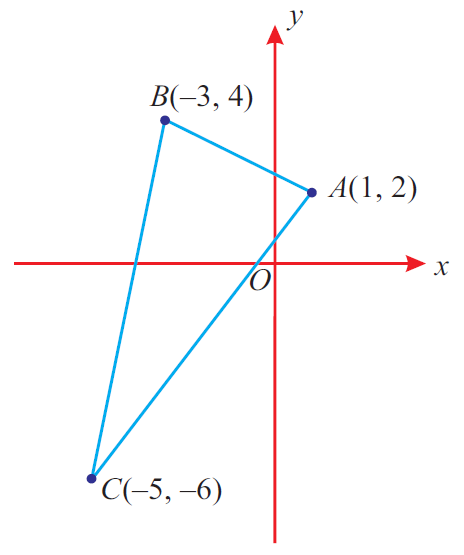 Hence, the area of triangle ABC is zero if and only if the points A, B and C are collinear. Let us look at the next problem on "Area of triangle with coordinates"
If the points (k, -1), (2, 1) and (4, 5) are collinear, then find the value of "k". 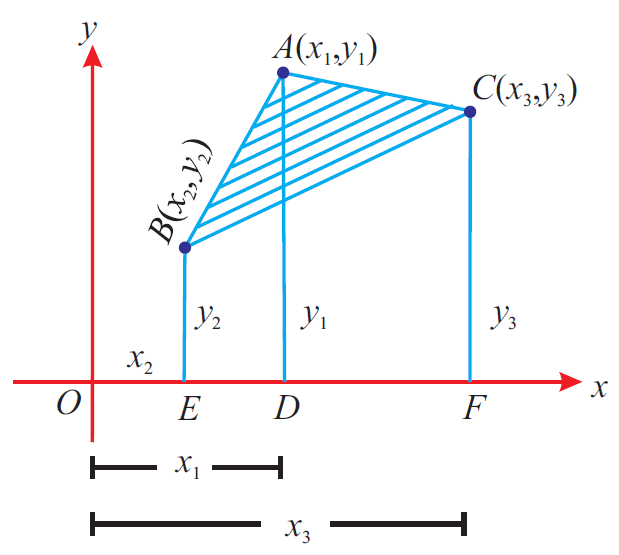 Since the given points are collinear, area of triangle = 0. Hence, the value of "k" is 1. After having gone through the stuff given above, we hope that the students would have understood "Area of triangle with coordinates".